The following pic is developed by us to describe the condition of an Employee. Here, we have demonstrated it using a Java Program. We've edited and updated the Quote by Great Scientist "Albert Einstein". Hope you'll like it. 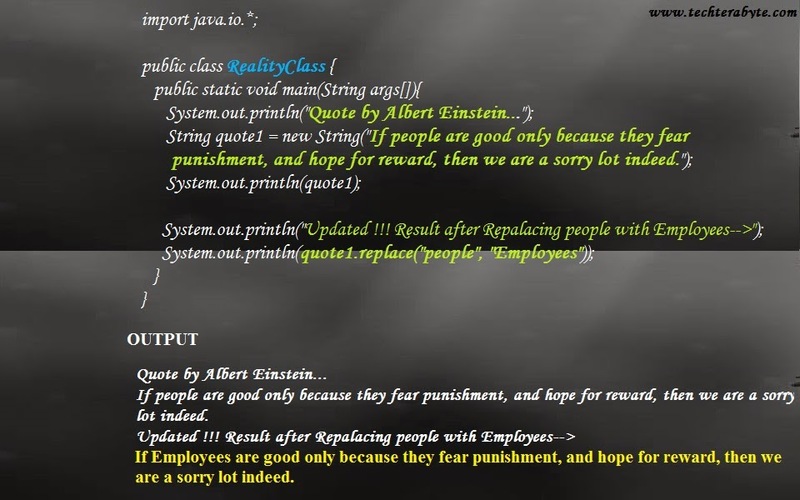 "If Employees are good only because they fear punishment, and hope for reward, then we are a sorry lot indeed"